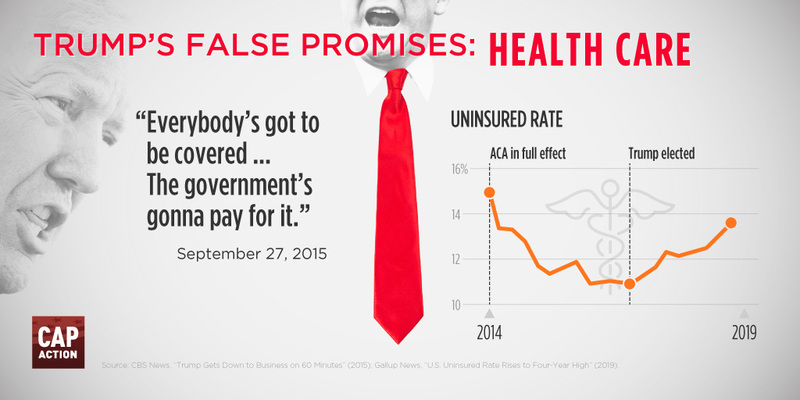 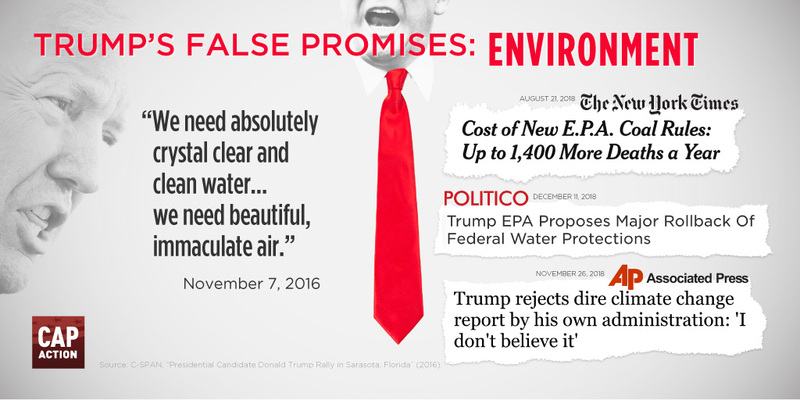 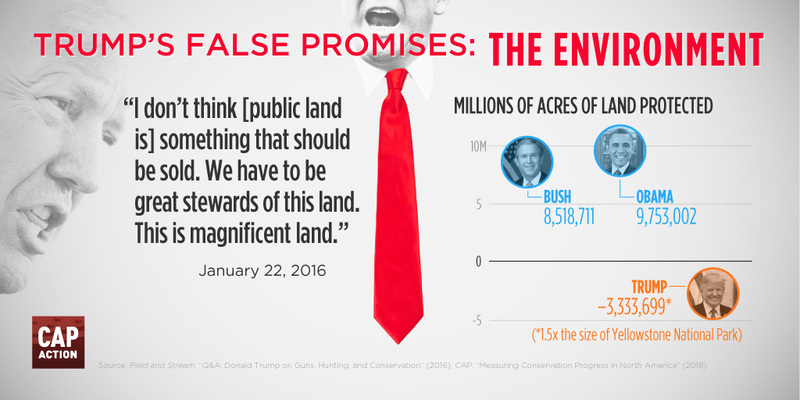 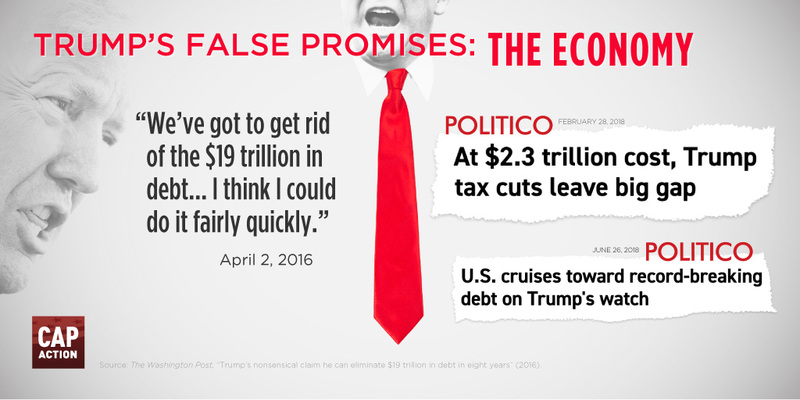 President Donald Trump’s habitual lying has become comical—even mundane—with more than 8,000 false statements in his first two years in office. 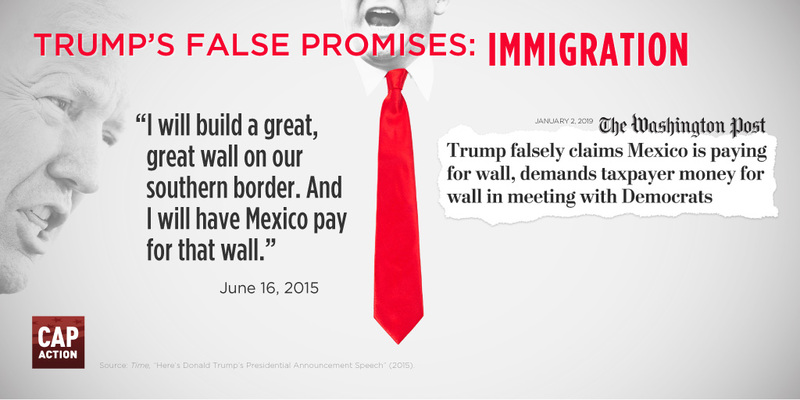 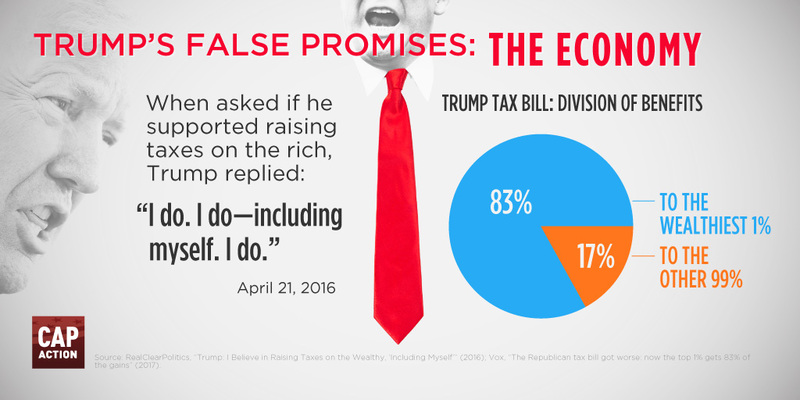 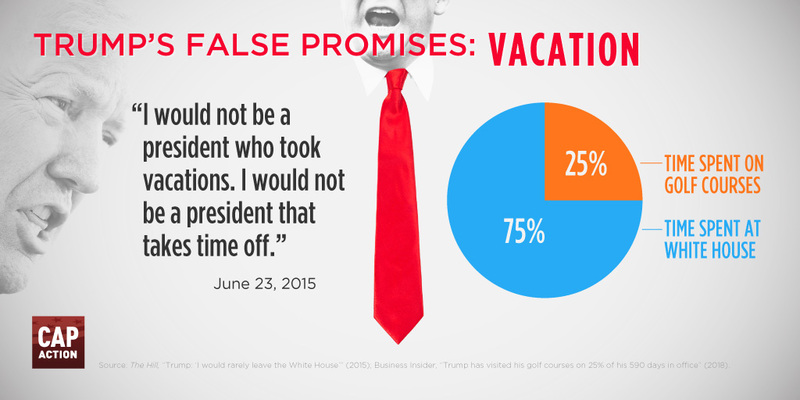 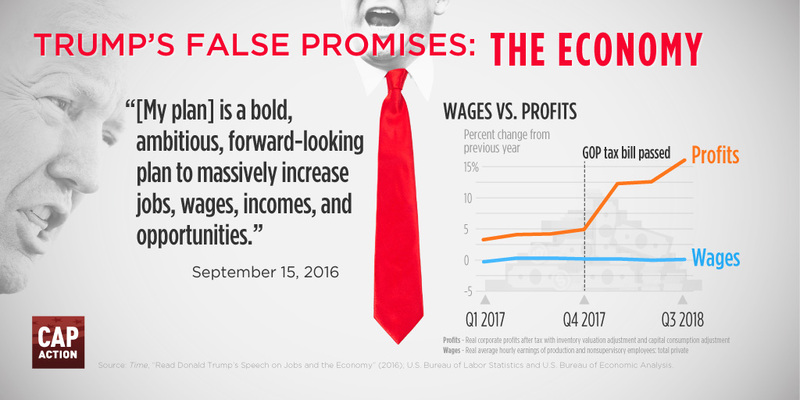 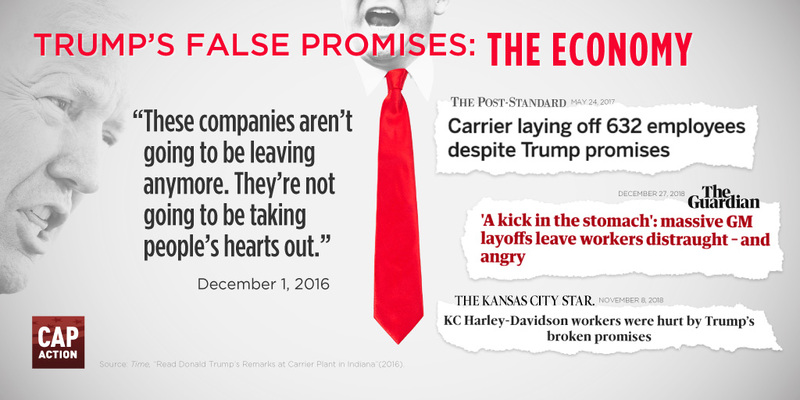 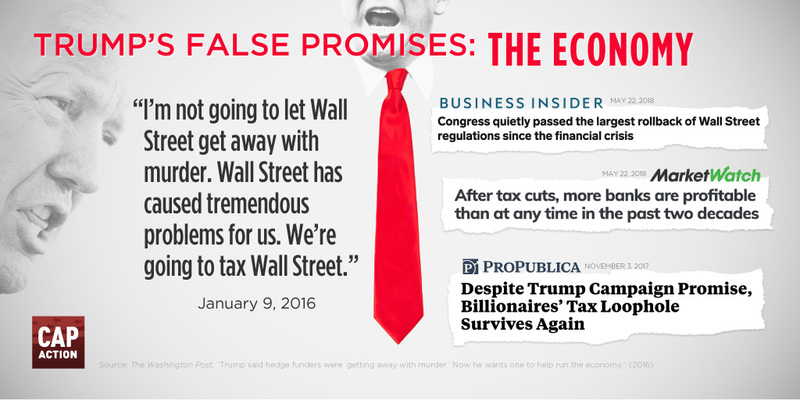 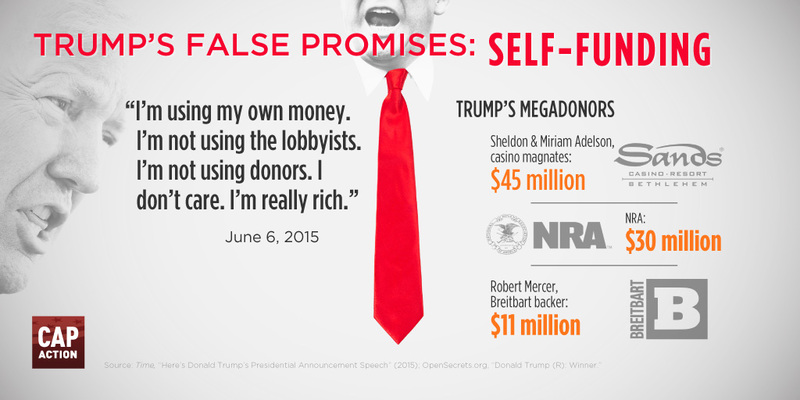 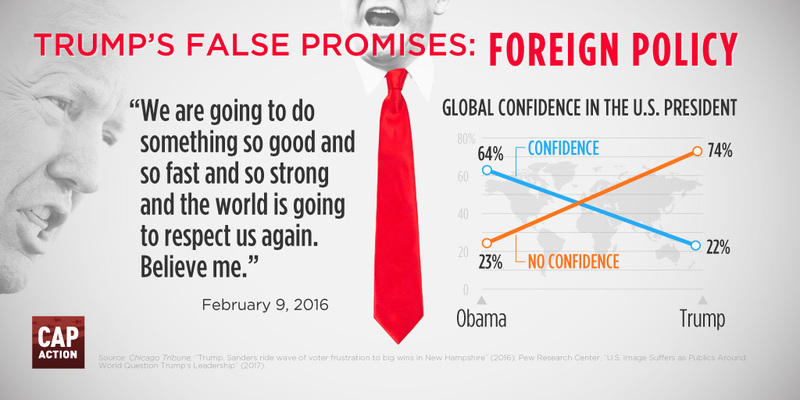 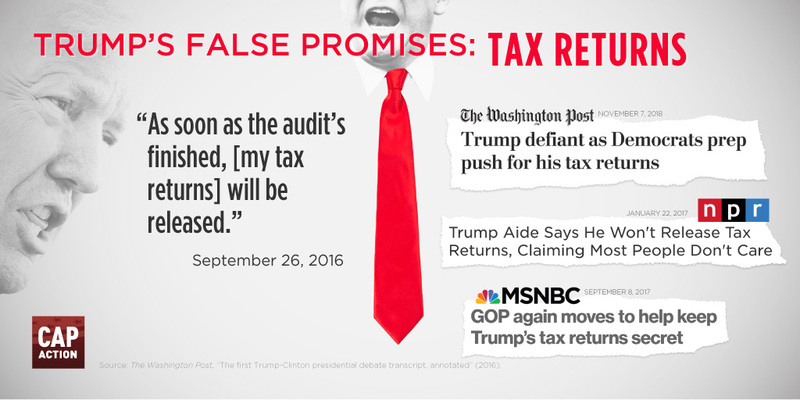 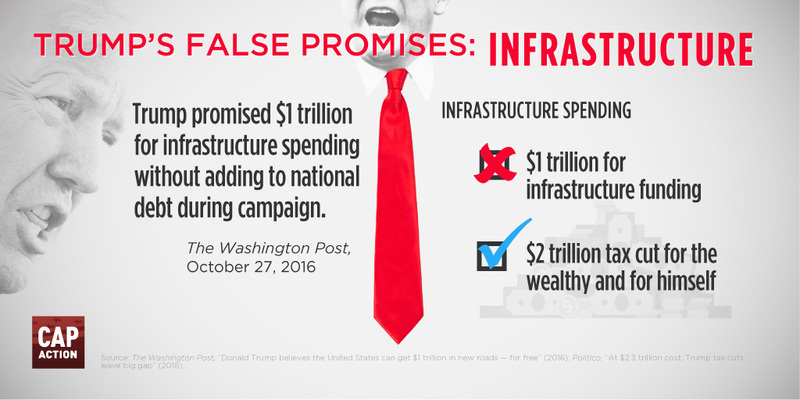 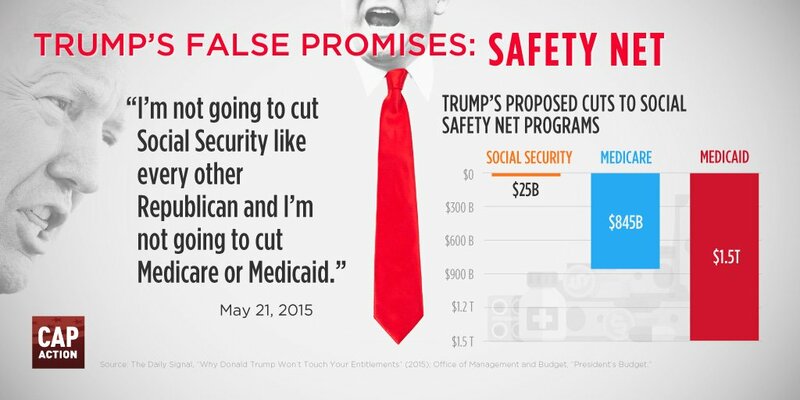 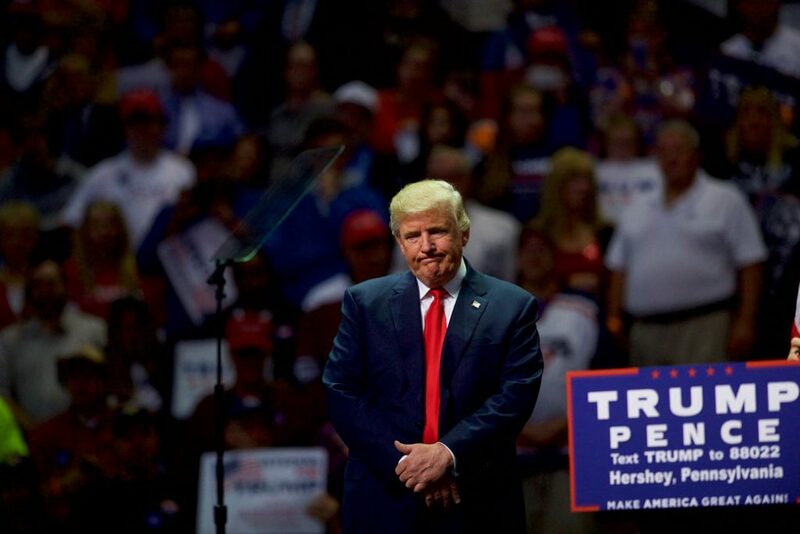 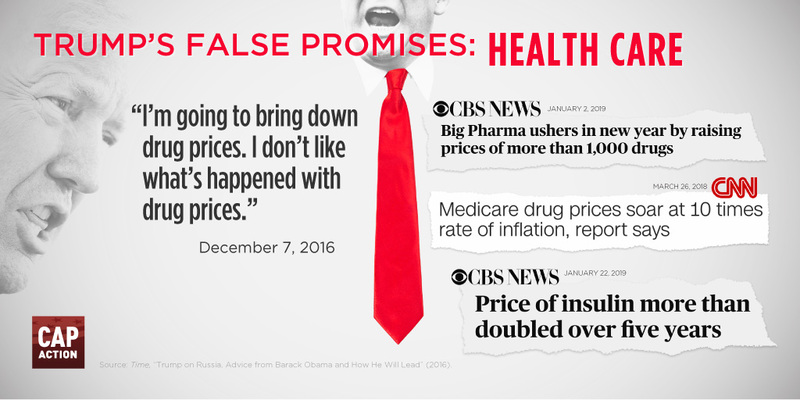 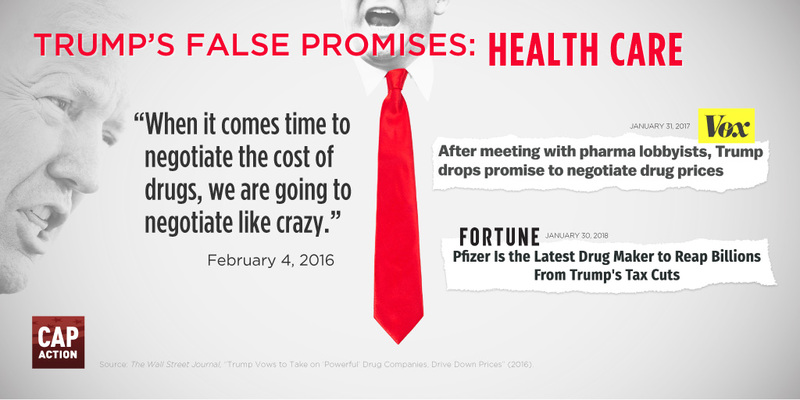 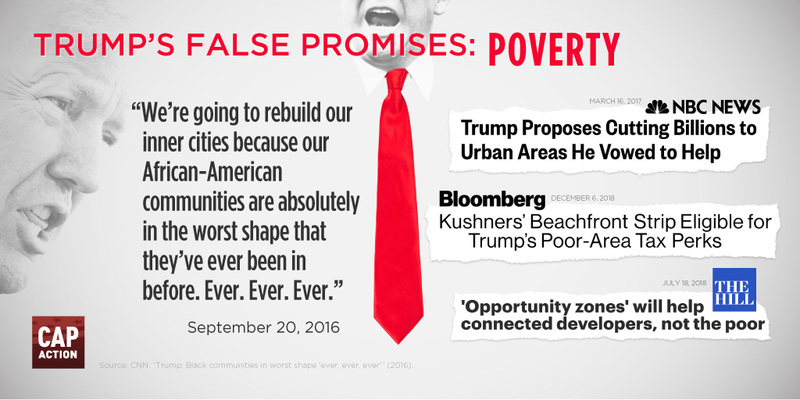 But perhaps the most important lies were the ones Trump told to be elected, when he promised hardworking people that he would work for them rather than the wealthy donors and big corporate interests who have rigged the system to benefit themselves. 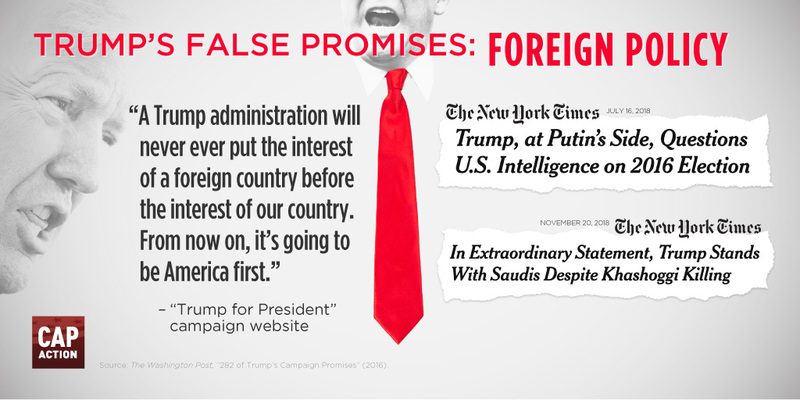 Far from being a populist president, he has engaged in unprecedented wholesale corruption to enrich himself and his wealthy connections at the expense of everybody else. 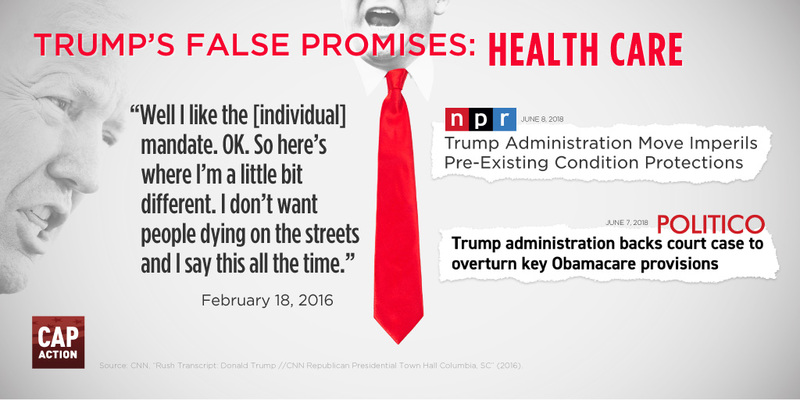 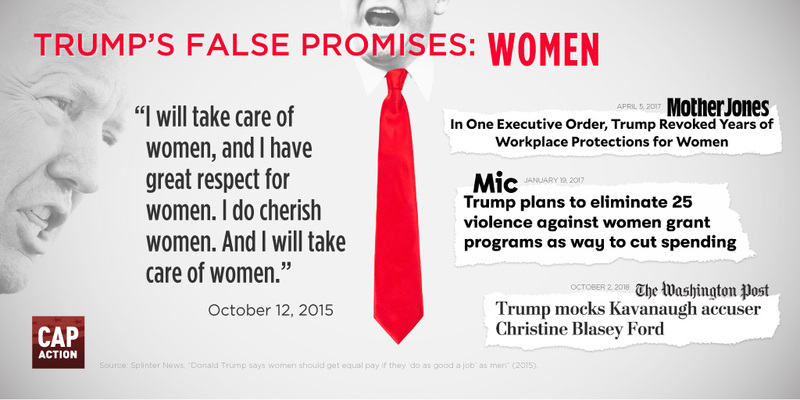 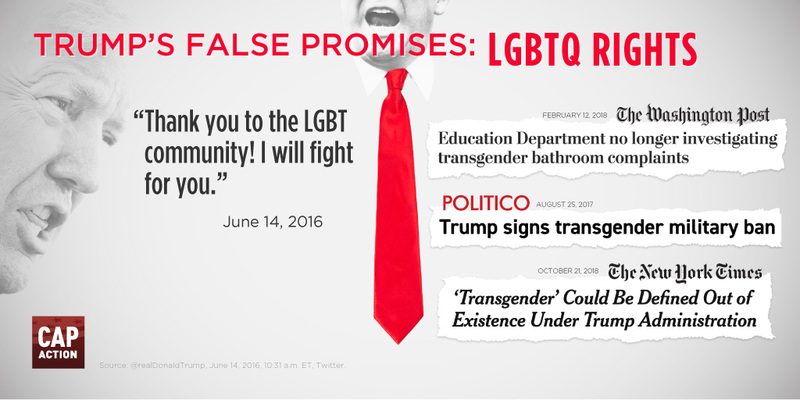 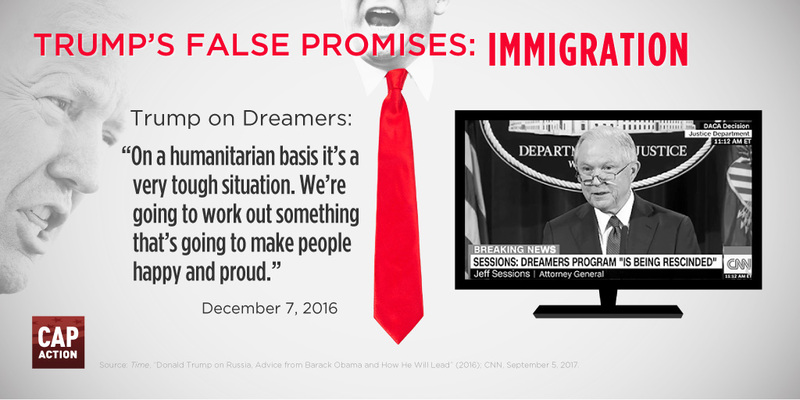 On issue after issue, no candidate has made more sweeping promises than Trump, and no president has so blatantly and intentionally betrayed them. 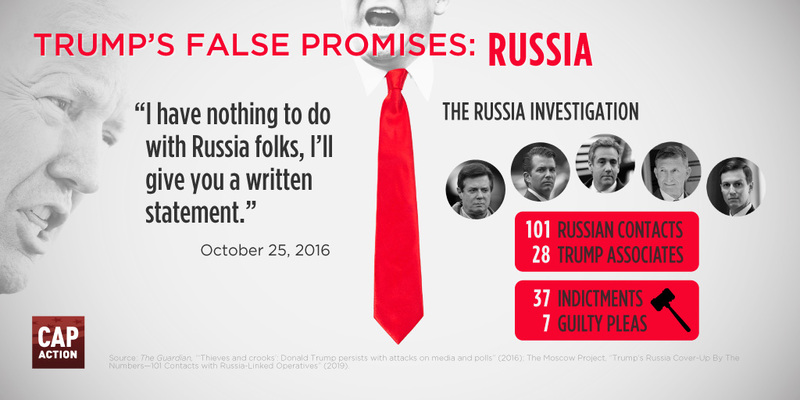 Click on the graphics to share on Twitter.